The combined agency will be called Burson Cohn & Wolfe. NEW YORK: WPP has merged Burson-Marsteller and Cohn & Wolfe, the holding company said on Tuesday. 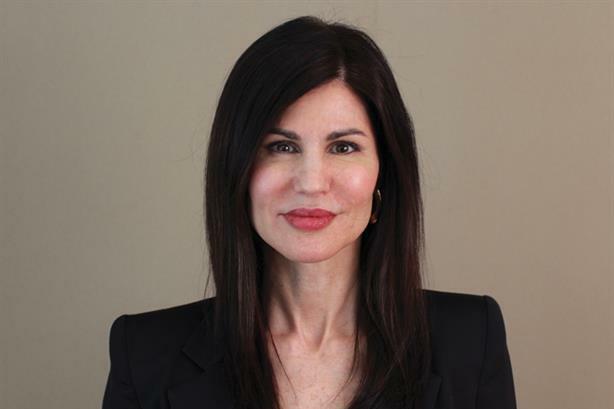 Donna Imperato, CEO of Cohn & Wolfe, will be chief executive of the combined agency, which will be known as Burson Cohn & Wolfe. Don Baer, Burson-Marsteller’s worldwide chair and CEO, will serve as chairman. He is tasked with delivering high-level counsel for Burson Cohn & Wolfe clients, according to a statement. The firm will have a network of more than 4,000 staffers in 42 countries. Imperato declined to share its combined revenue, but said that Burson Cohn & Wolfe will be a top three PR firm. The merger of the two firms is effective immediately. "It’s big; it’s at that level of the Weber Shandwicks and Edelmans," she said. "We might be the second or third largest." Burson ranked number six on the 2017 PRWeek Agency Business Report with an estimated $450 million in revenue, while Cohn & Wolfe was ranked as the 11th-largest PR firm in the world with revenue of $218 million. WPP decided to merge the two firms because of their complementary capabilities, said Imperato. "Burson has strengths where we are not strong, like the public affairs side and corporate side," she said "Cohn & Wolfe [is strong] on the digital creative content side, consumer, and healthcare. We both have technology. We are going to create the world’s largest technology practice when we come together." Imperato said she will "need time to think about" how the firms will be reorganized after the merger, which was announced a month earlier than planned due to an internal leak. Regional leaders and CFOs will report to Imperato, but she has not confirmed who will fill those positions. A joint integration committee will evaluate both firms’ capabilities to assess how the firms can be combined with minimal impact for clients. "The only change is each client will have more expertise at their agency, so we can support them in other ways," said Imperato. She added that there are no "glaring" client conflicts, but said the firms are doing a full assessment and plan to keep subsidiary shops in operation in case of conflicts. "We share a lot of clients in different areas like corporate on the Burson side and consumer or healthcare on the Cohn & Wolfe side," she said. "Just like Cohn & Wolfe had AxiCom, which specialized in tech, and Burson has brands that support lobbying and public affairs, we are going to keep those brands alive, separate from BCW." Imperato added that she plans to meet with staffers she doesn’t know to see where the new firm has holes to fill, adding, "There are some acquisitions in play right now at both agencies, so I have to assess that, too." No executive departures are planned due to the merger, she said. Imperato explained that the name of the new agency came to her when she woke up one morning. "It sounds good, Burson is a tremendous brand, and I am a huge fan of Harold Burson," she said. "It just kind of sang to me. We wanted to maintain both names." WPP CEO, Sir Martin Sorrell, said in a statement that the decision to merge the two agencies is driven by "compatible capabilities and expertise, a combined ability to deliver integrated solutions across multiple sectors, and the scale to compete with the largest communications agencies in the world." Sorrell declined to comment further. Baer could not be reached for comment. This story was updated on February 27 with additional information and quotes from Imperato.